Feast your eyes on the most iconic and illustrious mid-century design. The exquisite statement piece, that is sure to conjure visions of the 1950s living rooms for its tailored profile. With distinct Mid-Century tapered legs, and hand sewn buttons it's retro revitalized in a beautiful way. A splendid mixture of elegance, and sophistication, it's a perfect mixture of charm and grace. A dashing starting point for any living room. Cool and classy with clean lines, and distinction elegantly shaping each arm. A captivating emblem of all that is alluringly delightful. Irresistibly Lightweight in its polished distinction, with depth for comfort when sitting or snoozing. 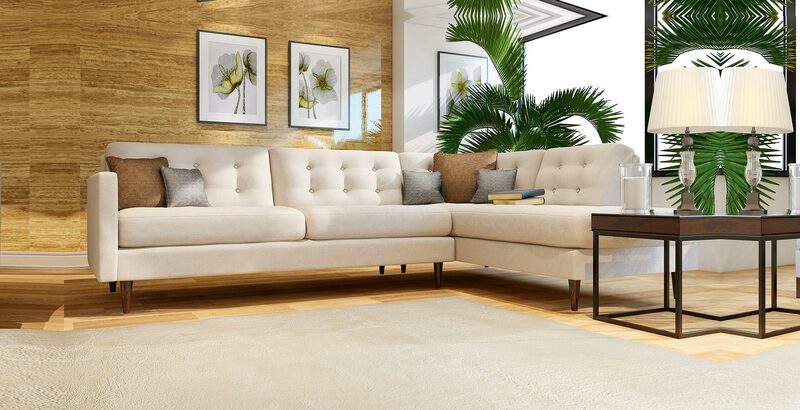 The crisply upholstered back and low side arms give this style a sense of opulence, that epitomizes Mid-century allure, with a perfect balance of contemporary grace, and unparalleled comfort. Every aspect of Oslo can be customized until its simply perfect. Your style, your fabric, your fit, personalized your way. So dive in, play, design, and fall in love as you bring your dream design to life. 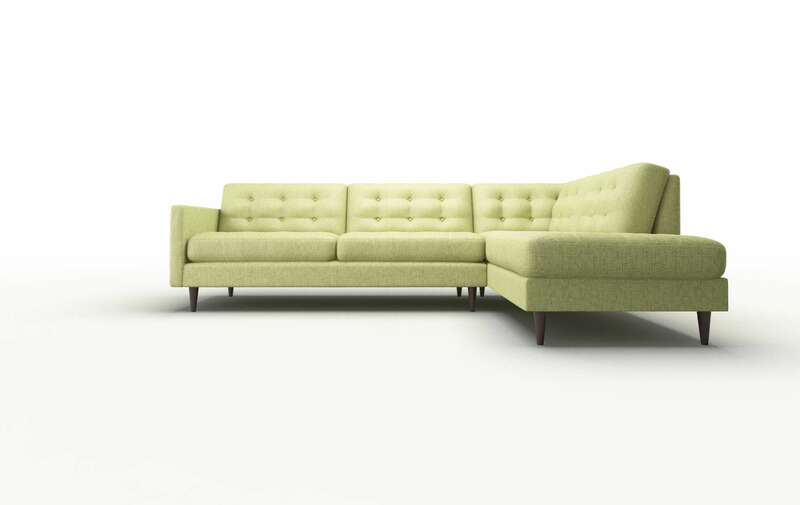 Oslo is customizable to any size, or configuration. Need to create a big comfy sectional, or reduce the length by 4 inches, no problem! Use our exciting SIZEiT ™ app to Find Your Perfect Fit.